Interested in a Baby Massage course for you and your baby? If you are interested in a Baby Massage course for you and your baby then we have one coming up soon. Here are all the details you need to know. Location of the course is dependent on participants. Teacher and other school personnel training in the KiVa Anti Bullying Programme has commenced. 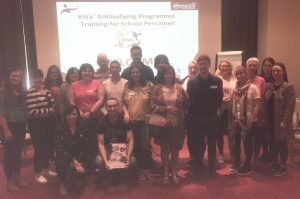 Before the children even returned to school, almost 140 school personnel from 5 primary schools had completed the KiVa Anti Bullying Programme training. 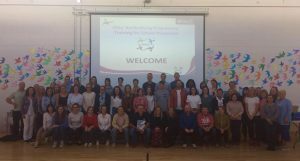 Staff from Latnamard NS, Scoil Mhuire Latton and St Tiarnach’s NS Clones (all Monaghan) and St. Joseph’s NS Muirhevnamor and Redeemer BNS (both Louth) attended the first training days of the programme in Ireland during the week of the 27th August and the feedback has been brilliant. 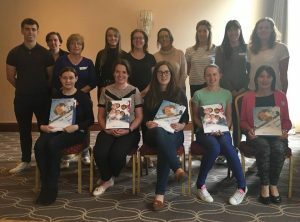 St. John’s JNS and Marymount NS in Drogheda as well as St. Daigh’s NS in Inishkeen will undertake their training over the next few weeks. All of these schools will be implementing KiVa during this academic year. 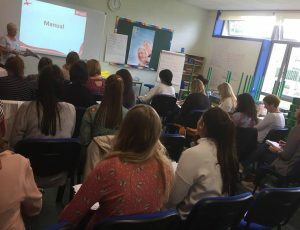 The purpose of the Linking the Learning guide is to clearly demonstrate to early year mangers, early year practitioners, primary school principals and teachers how the Incredible Years® programmes complement the learning goals of the national curriculum framework within both sectors. 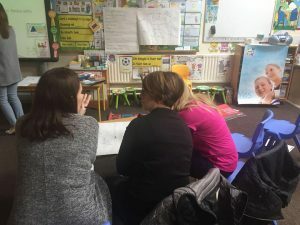 Linking the Learning was developed by two members of The Genesis Programme project team – Claire Gleeson (Early Years Development Officer) and Yvonne Forde (Schools Development Officer). Claire and Yvonne gave an insight into the development of the guide and an overview of its contents at the event. 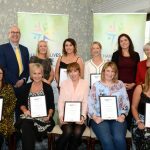 Claire and Yvonne worked in conjunction with all the participating Early Year Services and Primary Schools listed below, who have kindly allowed us permission to use photos of the Incredible Years® in action and throughout the document early year managers, practitioners, school principals and teachers have shared detailed accounts of implementing The Incredible Years within their services and schools. The latest edition of The Genesis Programme’s online newsletter UPDATE is now available. 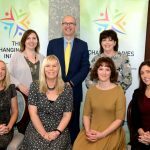 The Genesis Programme are recruiting an Administrative Assistant. 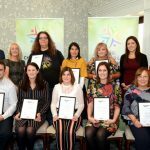 Closing date for applications is Wednesday 18th July 2018 at 5pm. 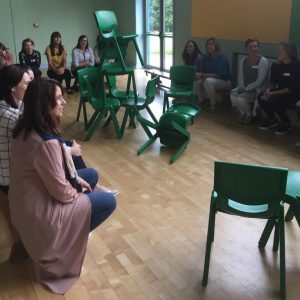 Carolyn Webster-Stratton, Developer of the Incredible Years®, has written a blog about her recent visit to Dundalk and Drogheda.